The Mayor Sofa by &Tradition is a stylish piece of furniture on which you can just sit back and relax. 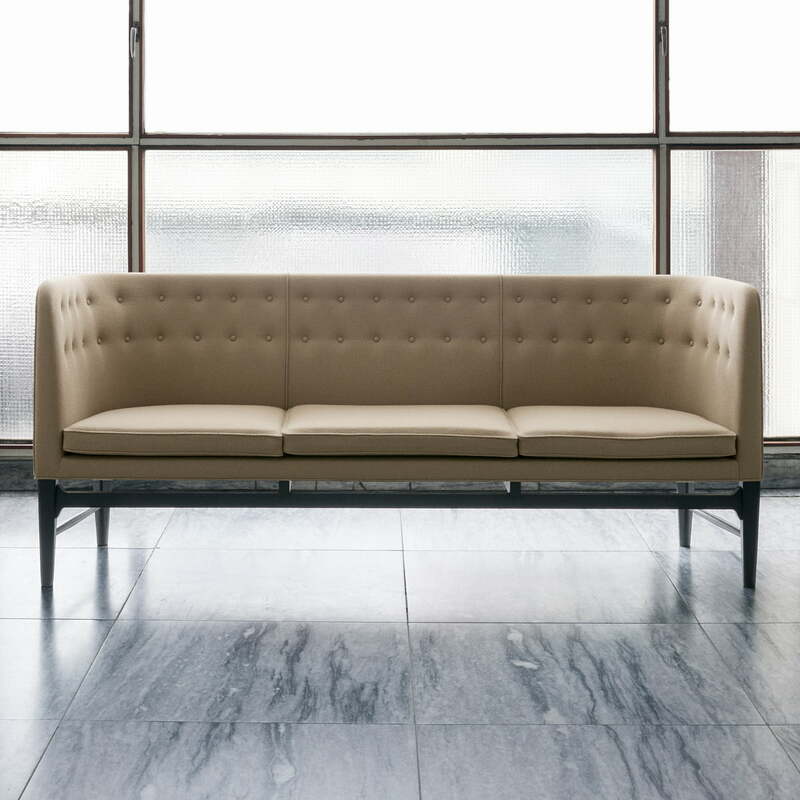 Designed by Arne Jacobsen and Flemming Lassen, the sofa impresses with its straightforward design that is seamlessly introduced into any environment. High arm- and backrests give the user a feeling of security and comfort. Evenly placed stitches on the padding offer a touch of elegance and make the sofa look particularly luxurious without loosing sight of its cosy charm. Despite its high cushioning, the Mayor sofa doesn’t appear bulky thanks to its filigree frame made of solid oak wood. The conically tapered feet raise the upholstered parts slightly, and give it a light and elegant overall expression. 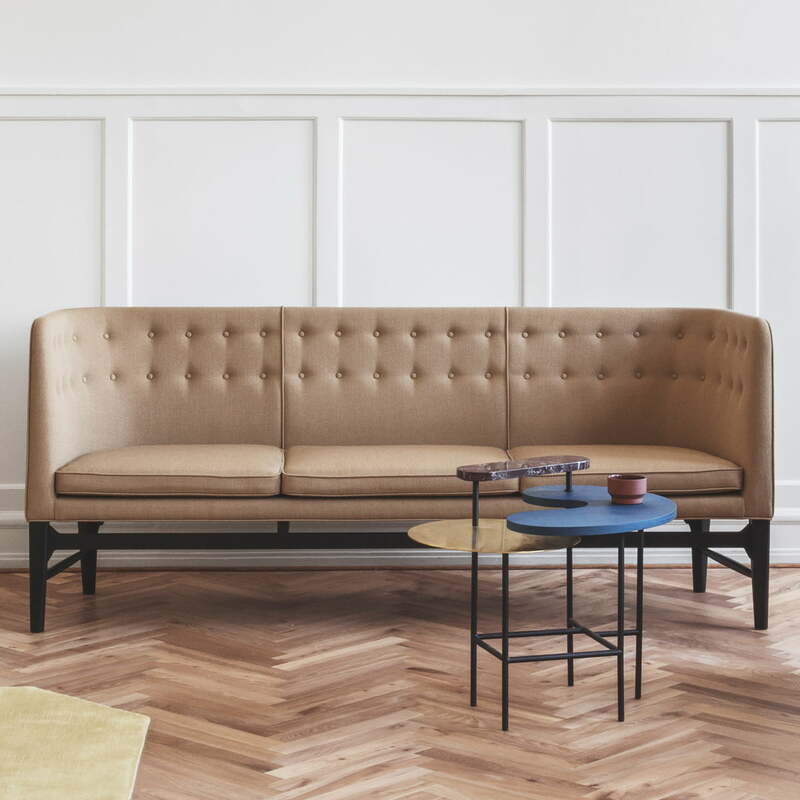 Simplistic and yet extravagantly designed, the Mayor sofa finds its place in the living room as well as in the hallway or office space, offering great comfort. 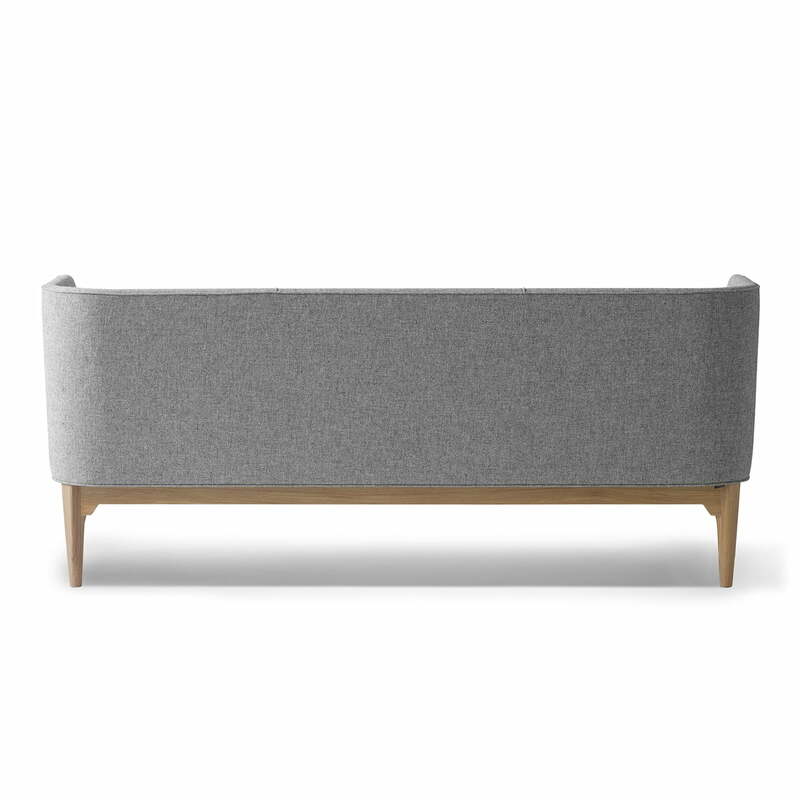 Isolated product image of the &Tradition - Mayor 3-seater sofa. Evenly placed stitches on the padding offer a touch of elegance and make the sofa look particularly luxurious without loosing sight of its cosy charm. Back product image of the &Tradition - Mayor 3-seater sofa AJ5. The conically tapered feet raise the upholstered parts slightly, and give it a light and elegant overall expression. 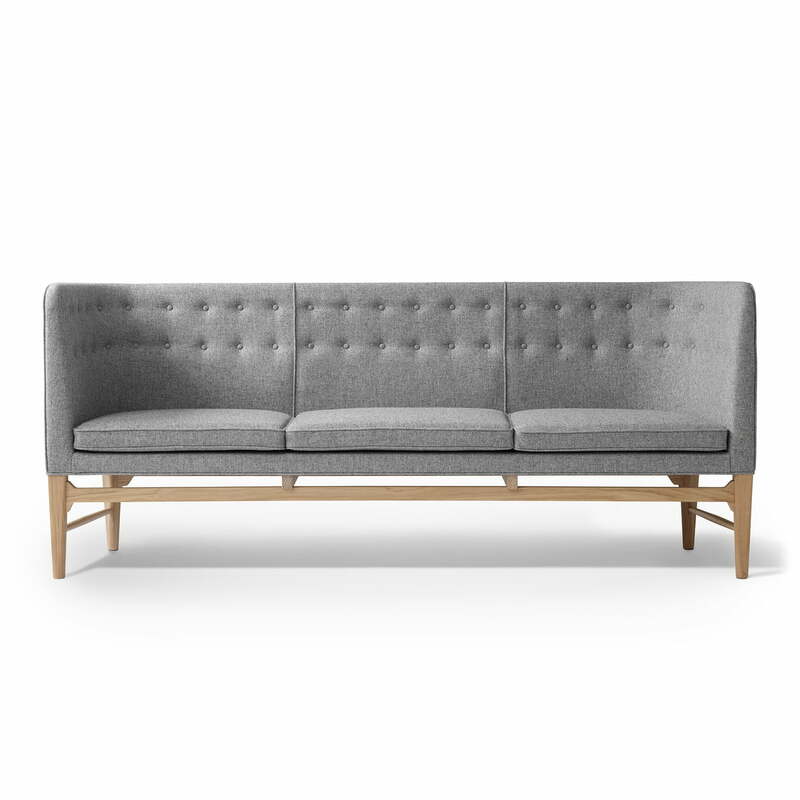 Isolated product image of the &Tradition - Mayor 3-seater sofa. The Mayor Sofa by &Tradition is a stylish piece of furniture in which you can just sit back and relax. Lifestyle product image of the &Tradition - Mayor 3-seater sofa AJ5. Simplistic and yet extravagantly designed, the Mayor sofa finds its place in the living room as well as in the hallway or office space, offering great comfort. Lifestyle product image of the &Tradition - Mayor 3-seater sofa AJ5. 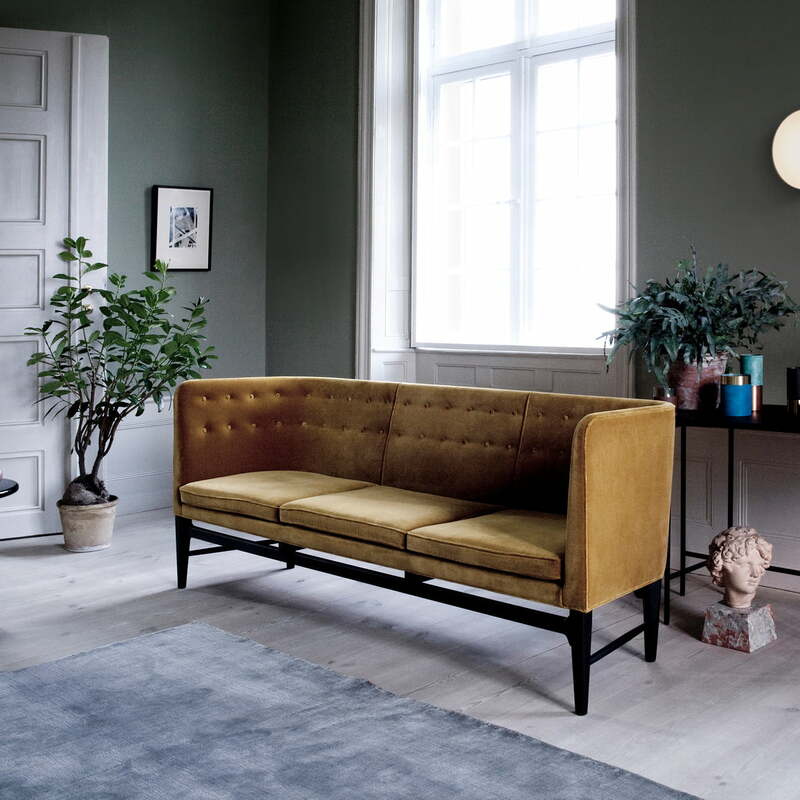 Designed by Arne Jacobsen and Flemming Lassen, the sofa impresses with its straightforward design, that is seamlessly introduced into any environment. Detail product image of the &Tradition - Mayor 3-seater sofa AJ5. 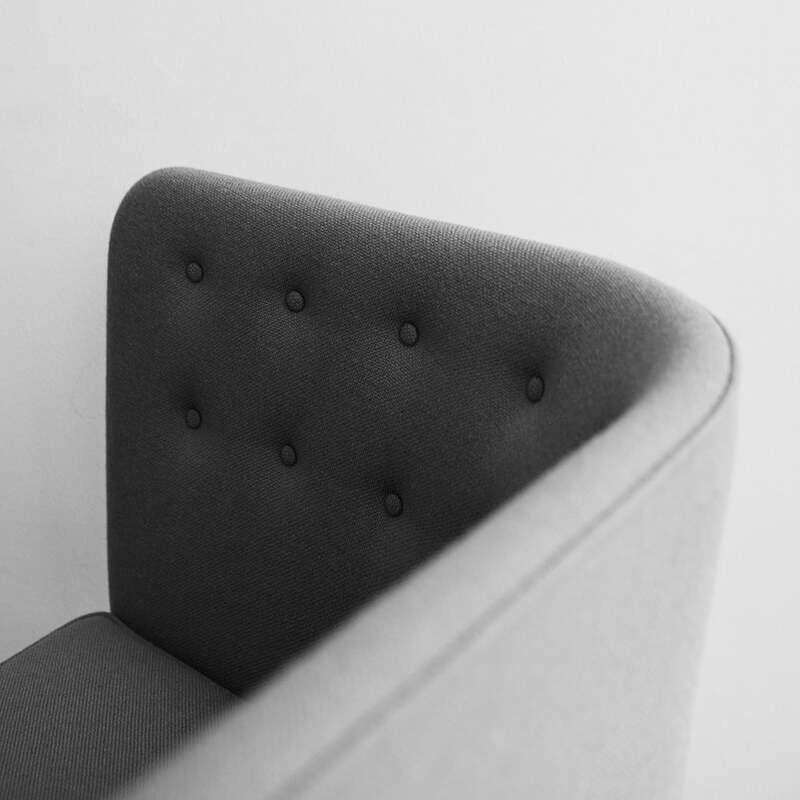 High arm- and backrests give the user a feeling of security and comfort with a cosy charm. Detail product image of the &Tradition - Mayor 3-seater sofa AJ5. 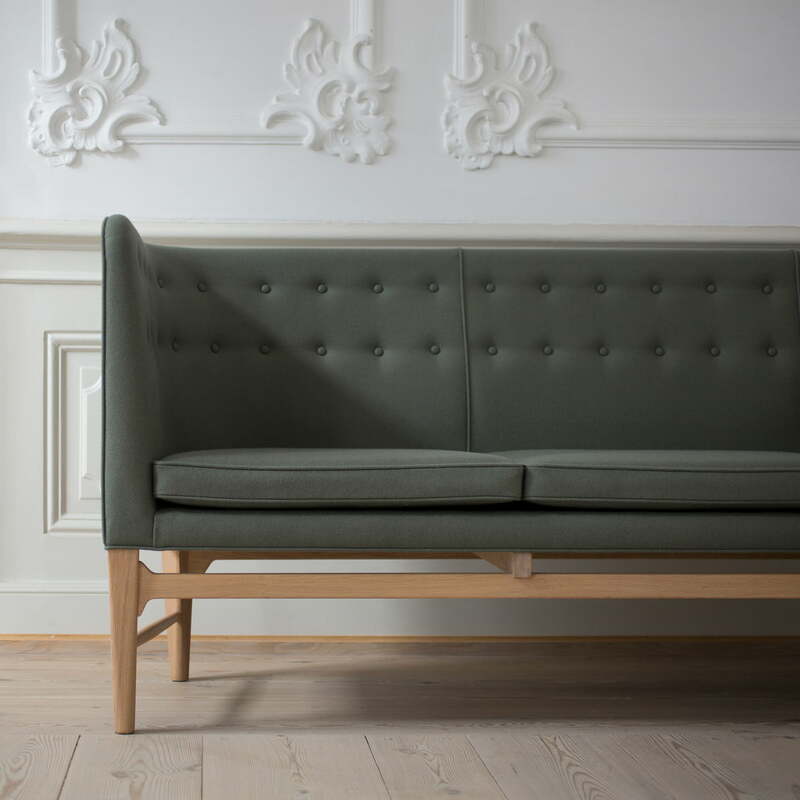 Despite its high cushioning, the Mayor sofa doesn’t appear bulky thanks to its filigree frame made of solid oak wood. 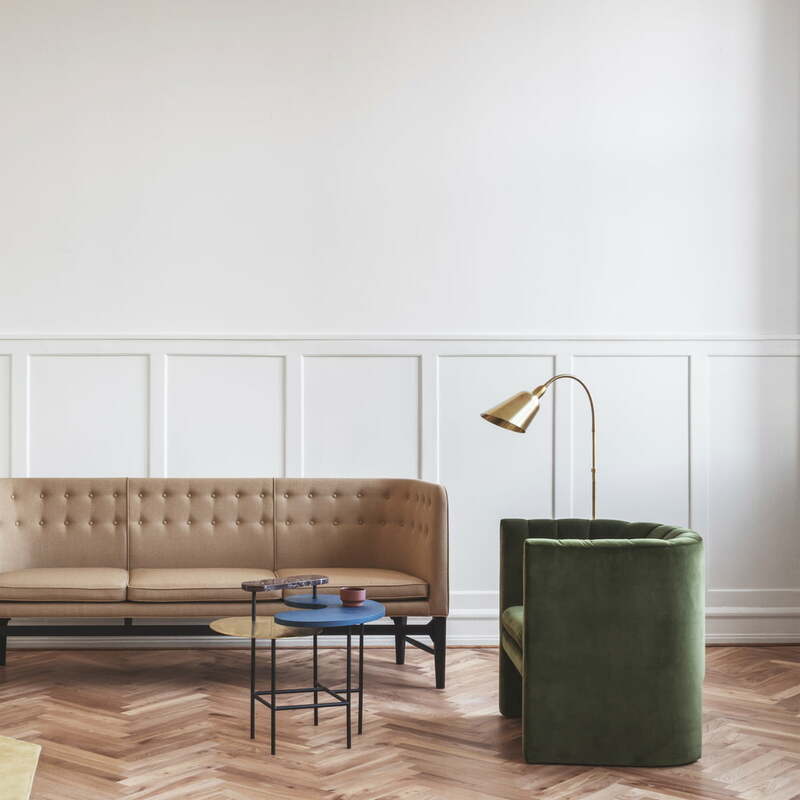 Lifestyle and group product image of the Loafer chair, the Mayor sofa, the Palette coffee table JH8 and the Bellevue floor lamp AJ7 by &Tradition. Together, all these elements create a beautiful ensemble.